NEW GOVERMENT CREATED SOVEREIGN PAPER WIFE LOADED WITH JOINT OWNERSHIP OF MORTGAGE AND COMPANY DEBTS CONNECTED TO JOINT COMPANIES ATTACHED TO VICTIMS COURT OREDERD MORTGAGE OBLIGATIONS PURSUANT TO A BC REGISTERED SEPERATION AGREEMENT . AGREEMENT WAS REGISTERED IN BOTH FAMILY AND BC SUPREME COURT. 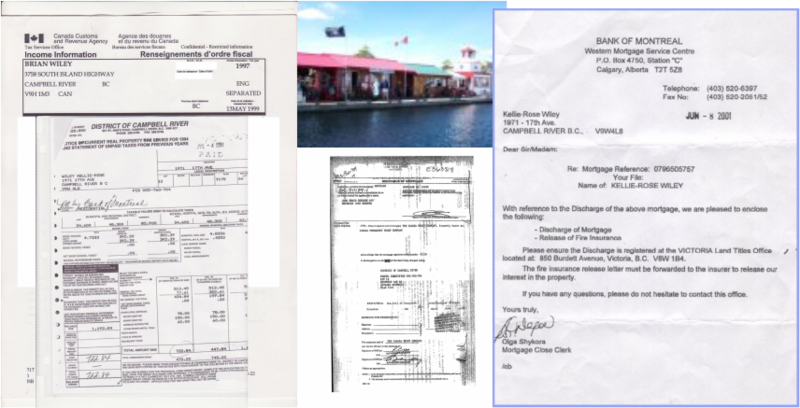 DEBTS TO BE PAID OUT OF THE FLORIDA COMPANY ESTATES REGISTERED WITH BC DEBTORS NAME /SIN/FORGED MARRIAGE CERTIFICATE AND A THOMBSTONE DEATH CERTIFICATE. In Canada, the financial crisis revealed large risky exposures at Manulife Financial Corp. and Canadian Imperial Bank of Commerce, causing shareholders to question how diligent boards had been at assessing risk. It is now conventional wisdom that the Harper Conservatives are transforming Canadian criminal justice, a fact which many pundits cite as evidence of the incremental Harperization of Canadian society. It's pretty hard to disagree. 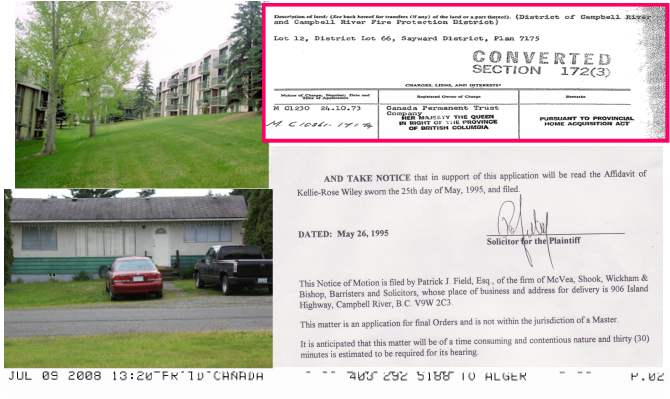 AFTER 10 YEARS of tracking down the BC 1988 mortgage papers ,it's my conclusion ,that many people were aware of the criminal implications of their acts. 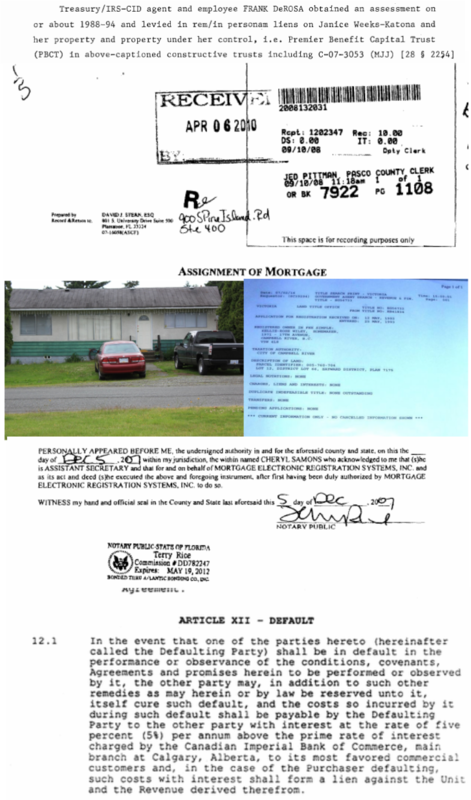 AFTER 10 YEARS of tracking down the BC 1988 mortgage papers ,that many people were forced via ,extoration,or by way of intimidation / fear, bribery to continue rolling the MERS BALL of MORTGAGE fraud further down the road and transferring illegal gains into offshore incororated illegal companies held in forged ESTATES attached to forged DEEDS OF TRUST via MERS AND HIJACKED PENSION ACCOUNTS. WHO'S THE REAL BRUCE GRANT BONAVENTURE? WHOSE THE REAL ERNEST E HARPSTER? The leaders AND SOVEREIGN STRUCTULISTS CONTRACT MASTERMINDS of a sovereign legal MERS syndicate NEED be tried for the crimes which they ordered others to do or ordered others to assisted them on. "The Jonestown site in Guyana was originally a Union Carbide mine, and was loaded with an abundance of precious natural resources. It is very likely that the site was chosen to exploit these resources with cheap labor -- and cheap labor was plentiful.. These legal players have brought such shame to all CANADIANS and their LEGAL SOCIETY. These legal players broke every securities laws on the book and then paid themselves for doing so. 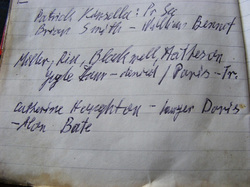 Then the frustated ponzie victims /police are left trying to clean up the mess. In cases as complex as this PONZIE the police need advice and input from the legal community. But in complexed security ponzie fraud cases masterminded by sovereign PMO'S big corp lawyers, nothing moves because the police are stonewalled by a sovereign legal community, BIG CORP AND CITY HALL . HARRY INNOCENT IS A fake witness !!! TOP OF THE SOVEREIGN MERS CLERK LIST is actuallly a , VIOLET ROBERTSON from CORTEZ ISLAND/CAMPBELL RIVER/FLORIDA. I believe her partner in crime to be Kellie ROSE WILEY of CAMPBELL RIVER/ CALGARY/ ONTARIO. A 60 Minutes LINDA GREEN/MERS documentary refers to them as "robo signers"
NEED A FULL INVESTIGATION WETHER THIS LIFE INSURANCE TAKEN OUT VIA MY ACCOUNT WITH NO WET INK ON THE POLICIES IS ATTACHED TO BONAVENTURE COURT/FORGED ESTATES. AND A MINOR IN THE HOUSEHOLD WHICH THEY WILL NOT GIVE ME THE NAME FOR. Many federal, municipal and federal government agencies are implicated which is why I continually get stonewalled trying find SATISFACTION of the QUEEN owed debt in order to remove forged federal liens against victims estate which is MY estate to.
. This includes 4 years of complete silence from CRA since February 2007. On the other hand US agencies have been very understanding and extremely helpful in helping to unwind a 20 year imperial federal crown prosecutors ponzie. Jeffrey H. Sloman, Acting United States Attorney for the Southern District of Florida, and Michael J. Folmar, Acting Special Agent in Charge, Federal Bureau of Investigation, announced the filing of federal corruption and other criminal charges against a current Broward County Commissioner, a current Broward County School Board Member, a former Miramar City Commissioner, a Bahamian attorney, and two South Florida businessmen. Charged today were defendants Josephus “Joe” Eggelletion, 60, of Lauderdale Lakes, Joel Williams, 54, of North Miami, Ronald Owens, 62, of Hallandale, Sidney Cambridge, 45, of Nassau, Bahamas, Beverly Gallagher, 51, of Pembroke Pines, and Fitzroy Salesman, 52, of Miramar. The defendants are scheduled to make their initial appearances in federal court in Fort Lauderdale today, before U.S. Magistrate Judge Lurana Snow, except for defendant Cambridge who remains in the Bahamas. This long-term undercover corruption investigation, led by the FBI, resulted in the filing of three separate complaints, charging the defendants with various federal criminal violations, including honest services mail and wire fraud, extortion under color of official right, bribery, and money laundering conspiracy. During the operation, FBI undercover agents purported to represent contractors seeking to obtain construction contracts with local government entities or seeking to hide proceeds from purported criminal activity. In the case of Josephus Eggelletion, Joel Williams, Ronald Owens, and Sidney Cambridge, FBI undercover agents (“UCAs”) purported to represent an individual seeking to hide proceeds of illegal activity. 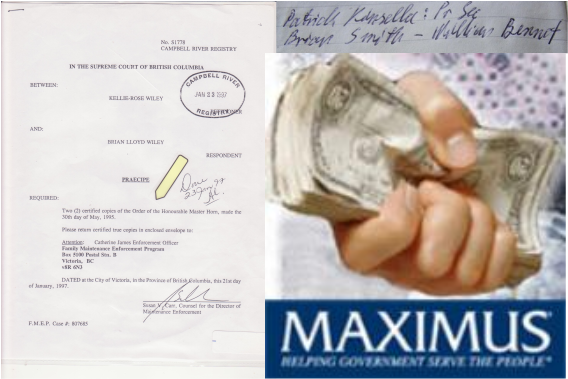 To this end, in December 2006, the UCAs advised County Commissioner and Broward County Vice-Mayor Josephus Eggelletion that they sought to hide proceeds from an investment fraud scheme. In a series of recorded meetings, Eggelletion introduced the UCAs to defendants Williams and Owens as individuals who could help the UCAs hide assets in the Bahamas, where Eggelletion stated he did not have the same ethical restrictions as he did in the United States. To execute the scheme, Williams, Owens and the UCAs traveled to the Bahamas to meet with defendant Cambridge, a Bahamian attorney. Thereafter, the defendants allegedly agreed, in exchange for a cash fee to be shared among them, to launder the purported investment fraud proceeds though a Bahamian bank account to be established by defendant Cambridge. In this way, from March 23, 2007 through November 23, 2007, in a series of wire transfers, the defendants laundered approximately $900,000 from an account in Miami through the Bahamian account into an account controlled by the FBI in St. Croix. As well, the UCAs discussed an additional $200,000 and $500,000 transfer with Eggelletion and Owens, respectively, but none of these additional funds was actually transferred. The defendants received a total of 7 percent of the money laundered through the Bahamian account, of which defendant Eggelletion received approximately $23,000. As a result of these actions, defendants Eggelletion, Williams, Owens, and Cambridge were charged with conspiracy to commit money laundering, in violation of Title 18, United States Code, Section 1956(h). In another complaint, defendant Beverly Gallagher, a current member of the Broward School Board, was charged with wire fraud by depriving the citizens of her honest services, extortion under color of official right, and bribery in connection with a program receiving more than $10,000 in federal funds, in violation of Title 18, United States Code, Sections 1343 and 1346, 1951, and 666. In this instance, the FBI UCAs purported to represent two clients, a glass company and a project manager for a construction company, both of which sought to do business with the Broward County School District. In a series of meetings, emails, and phone calls, defendant Gallagher agreed to steer School Board business to the UCAs in exchange for cash payments. In one such meeting in November 2007, Gallagher told one of the UCAs that they could “make a lot of money together.” In another meeting in February 2008, she agreed to become a consultant to the UCAs to assist them in getting School Board work for their clients. Thereafter, from about February 2008 through June 3, 2009, defendant Gallagher allegedly misused her influence and her official position on the Broward County School Board to steer School Board business to the UCAs’ clients. For this, she allegedly accepted a total of approximately $12,500 in cash, delivered to her surreptitiously inside a day planner, a Broward County School Board envelope that she provided, and in other ways. 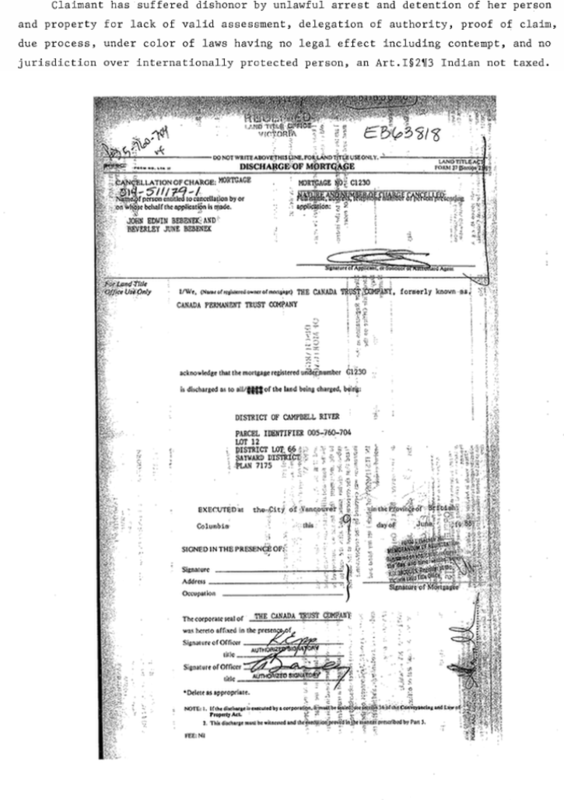 Lastly, the third Complaint charges defendant Fitzroy Salesman, while an active Commissioner for the City of Miramar, with committing mail fraud by depriving the citizens of his honest services, extortion under color of official right, and bribery in programs receiving more than $10,000 in federal funds, in violation of Title 18, United States Code, Sections 1341 and 1346, 1951, and 666, respectively. In this case, the UCAs purported to be "quasi" lobbyists, seeking to obtain contracts with local government entities for construction contractor clients. According to the Complaint, Salesman succeeded in obtaining two contracts for the UCAs, one for the construction of a park gazebo and the other for the renovation of a gym floor. In sum, Salesman is alleged to have received a total of $3,340 while he was an active City of Miramar Commissioner, in exchange for his influence in steering these contracts to the UCAs and their clients. “As a community, we must do all that we can to ensure that our public officials do not give into the temptation to betray their public trust for quick cash. Our work in Broward County will continue; we are not done,” said Acting U.S. Attorney Jeffrey H. Sloman. Mr. Sloman commended the investigative efforts of the FBI and the Internal Revenue Service Criminal Investigation Division, in connection with the investigation of this case. He also thanked the Florida Department of Law Enforcement for their cooperation in this matter. The cases are being prosecuted by Assistant U.S. Attorneys Jeffrey N. Kaplan and Neil Karadbil. A complaint is only an accusation, and a defendant is presumed innocent until proven guilty beyond a reasonable doubt. A copy of this press release may be found on the website of the United States Attorney’s Office for the Southern District of Florida at www.usdoj.gov/usao/fls. Related court documents and information may be found on the website of the United States District Court for the Southern District of Florida at www.flsd.uscourts.gov or http://pacer.flsd.uscourts.gov. THE "OATH" ISN'T WORKING IN CANADIAN COURTS! ON THE BC WEST COAST PERJURY IS OF NO CONCERN TO PONZIE INVESTMENT PEOPLE. DO THESE PEOPLE NOT HAVE A SENSE OF WRONG AND RIGHT ? A PONZIE /REAL ESTATE TAX SHELTER DEBT CREATED BY SOVEREIGN COURT CLERKS/OFFICERS OF THE COURT IN ORDER TO PLAY AN IN HOUSE PONZIE GAME YEILDING HIGH INTEREST RETURNS. THIS IS WHAT DRIVES ME.......HOW MANY OTHER VULNERABLE UNREPRESENTED VICTIMS WERE RAILROADED USING SOVEREIGN CLERK WEAPONARY. THAT 'S ALL IT TAKES TO DESTROY FAMILIES DEALING WITH SOVEREIGN AGENTS IN A POSTION OF PUBLIC TRUST AND UNDER OATH TO THE QUEEN / GOD/BIBLE. SOVEREIGN SYSTEMIC SECURITIES FRAUD ENDLESS DEFAULTS FOR PONZIE REVENUE DISTRIBUTED TO SOVEREIGN AND NON SOVEREIGN REAL ESTATE TAX SHELTER INVESTORS . CRIMINAL SOVEREIGN CITIZENS MOVEMENT ARE DESTROYING COURT RECORD AND LEGAL PROPERTY CHAIN OF TITLES. 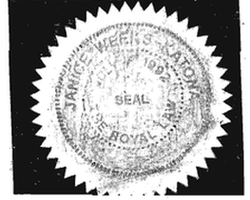 IN 2007 VICTORIA BC LAND TITLES OFFICE SHOWED NO LEINS REGISTERED AGAINST THE PROPERTY. Two police officers in West Memphis, Arkansas were shot and killed during a traffic stop on May 20, 2010. Police identified two suspects - Jerry R. Kane Jr. and his son Joseph T. Kane. Based on a 2004 conversation with Kane, Clark County Sheriff Gene Kelly expressed concern about Kane in 2004 that he would be dangerous toward law enforcement. According to Kelly, Kane complained about being "enslaved" by a judge who had sentenced him to serve six days of community service for driving with an expired license plate and no seat belt. Insurance analyst J. J. McNabb observed that Kane ran a debt evasion business. Jerry Kane also posted $10,000 bond (which a judge later forfeited) on charges of forgery and attempted grand theft of a motor vehicle filed in Miamisburg, Ohio but was never extradited to Ohio after being arrested in New Mexico. chairman of the group, said from Inuvik, NWT. The government's ethics commissioner says a letter Guergis wrote to a town council could be seen as lobbying on behalf of her husband. Former Conservative/independent MP Helena Guergis contravened Parliament's conflict-of-interest rules by asking a town council in her riding to consider the plan of a businessman that her husband, former Tory MP Rahim Jaffer, was working with. Ethics Commissioner Mary Dawson said Guergis' letter broke the section of the code that bars members of Parliament from using their influence to benefit family members. Guergis, who represented the Ontario riding of Simcoe-Grey, was booted out of the Conservative caucus last year for undisclosed reasons amid allegations that Jaffer had been illegally lobbying. Guergis ran as an independent in the last election and lost. Does this not meet the legal criteria of a capital punishment offense? the truth about lying vanities and the perfect law of liberty. To enable PBC People to communicate through our BLOG. To tell PBC People what's happening that affects their lives now. each other, and make good things happen now. To ask for and get help from powers-that-be to overcome obstacles. To respect the rights of others, and have others respect our rights. To complete the lawful, peaceful settlement for all PBC People, now. To advocate health, wealth, and harmony for all peoples everywhere. This website and e-mail address was made possible by kind and caring people like you. If you'd like to help too, go to Directory. Thank you for your thoughtful support for this labor of love. Other preceding reports will appear here as we complete them. Justice Arthur M. Schack of State Supreme Court in Brooklyn fashions himself a judicial Don Quixote, tilting at the phalanxes of bankers, foreclosure facilitators and lawyers who file motions by the bale. While national debate focuses on bank bailouts and federal aid for homeowners that has been slow in coming, the hard reckonings of the foreclosure crisis are being made in courts like his, and Justice Schack’s sympathies are clear. What is the RCO doctrine? The responsible corporate officer (RCO) doctrine holds that a corporate officer is indirectly liable for a subordinate's criminal conduct when the officer is in a position of responsibility. The officer can be prosecuted if he has the authority and the ability to stop the offense and yet fails to act. TAKEN FROM "BC SUPREME COURT TRANSCRIPTS"